Working closely with our Partner, Warema International, Corner Star Aluminium offers a full Patio Awning Design and Installation service to our clients and customers, Architects, Builders and Designers. 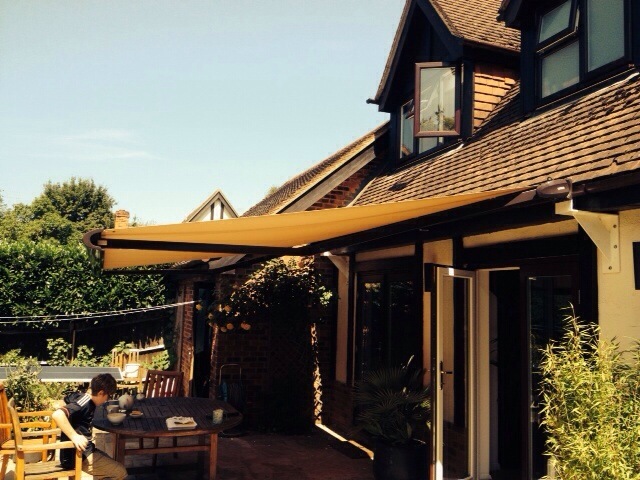 With the UK housing stock being made up of so many house types and designs, which have been built in various styles down the centuries, having a Patio Awning Design and Installation service is crucial for creating safe, appealing and practical made to measure solar shading solutions. Using the technical experience and design capabilities of our partner companies, Corner Star can provide clients with drawings in various formats to present to end-customers for review and approval. 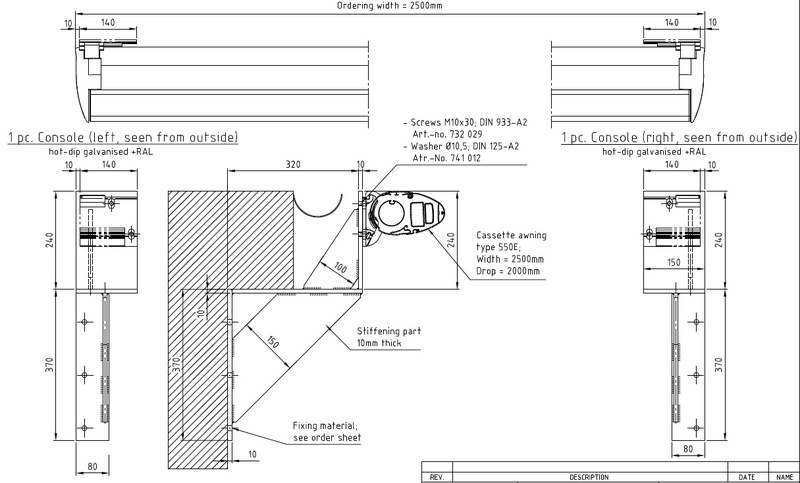 Warema has a web portal of its own HERE and this has a number of useful sun shading planning tools, these can be used to create and generate online views and CAD drawings, which can then be inserted into drawings or proposals. Within the portal there is also a dedicated area for Architects HERE. Corner Star Patio Awning Design and Installation are services are available to all of our clients and end customers. On a recent installation completed by our agent in the South West, ABC Blinds, a special hybrid bracket was ordered by Corner Star and made by Warema. 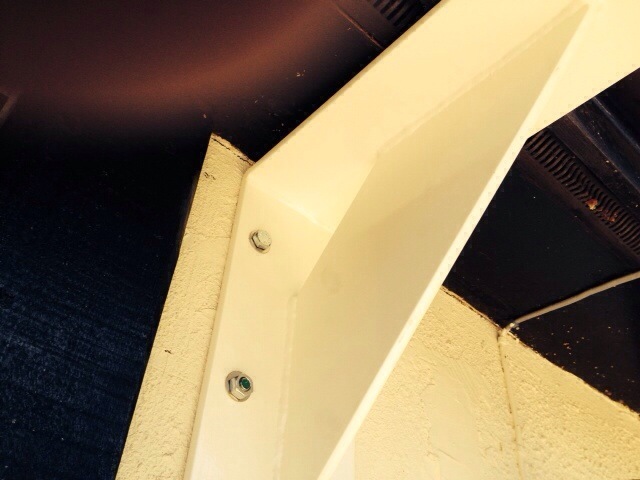 This bracket is a cross between a Gallow bracket and a spreader plate, allowing us to fix neatly to the render and also to clear the soffit and guttering. The awning bracket was designed by Warema and was hot dip galvanised and powder coated to meet the customer’s desired colour.